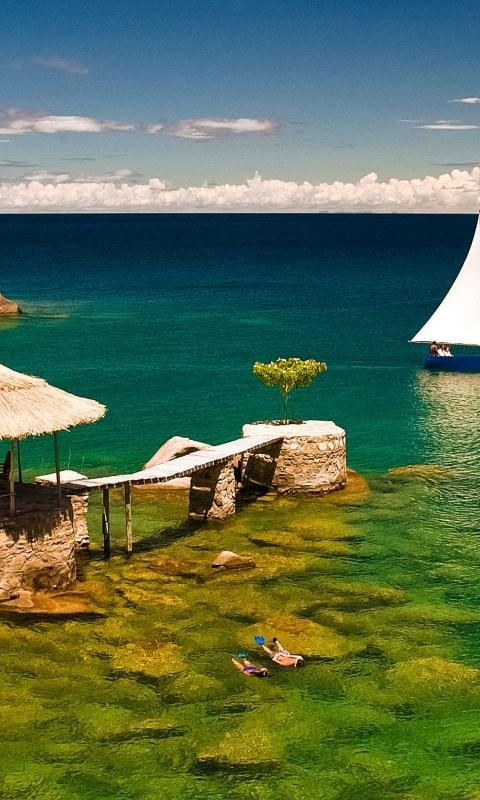 Lake Malawi is an African Great Lake and the southernmost lake in the East African Rift system, located between Malawi, Mozambique and Tanzania. The third largest and second deepest lake in Africa, it is also the ninth largest in the world. It is reportedly the habitat of more species of fish than any other body of freshwater, including more than 1000 species of cichlids, and was officially declared a reserve by the Government of Mozambique on June 10, 2011.